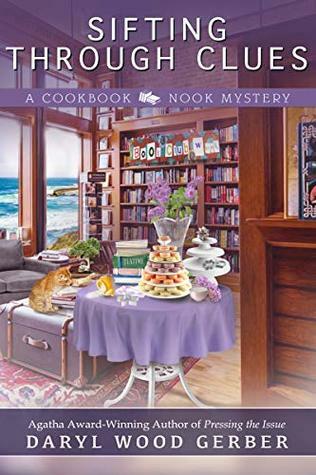 Daryl Wood Gerber is back with the 8th in the Cook Book Nook Mystery Series. Crystal Cove is celebrating Book Club Bonanza Week and book clubs from all over are meeting up in town. Jenna is ready at the Cookbook Nook with not only cookbooks but some juicy works as well. The most exciting group, the Mystery Mavens, are having a moveable feast going from house to house sampling the hosts goodies and talking books. Everyone is enjoying themselves until Jenna and Pepper arrive at the last location only to find a dead host! And adding insult to injury Pepper is the main suspect. Will her daughter have to arrest her since she is the chief of police? Or will Jenna have to put her Sherlock hat on and uncover the real killer first? The victim it seems was not so nice of a person. Which makes for a lot of suspects! With recipes included and a great cast of characters, once again the author has given us a great cozy! That sounds awesome! Did you make any of the recipes?